Galaxy Tab 7.0 SGH-i987 (AT&T). Galaxy Tab 7.0 SCH-i800 (Verizon). Galaxy Tab 7.0 SPH-P100 (Sprint). Galaxy Tab 7.0 Plus GT-P6210. Galaxy Tab 7.7 SCH-I815 (Verizon). Galaxy Tab 8.9 GT-P7310. Galaxy Tab 10.1 i905 (Verizon). 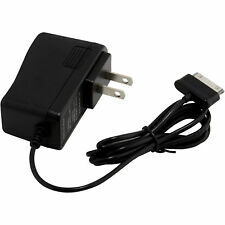 Cord Length: 3.75 FT / 45 CM Color: Black This quality AC wall charger is guaranteed to provide power while simultaneously charging your Samsung Galaxy Tab. Multiple chargers are extremely convenient, and allow you to move through your day without fear that you will lose battery during an important conversation. Small enough to fit in your coat pocket or briefcase, this charger is a convenient addition to any home or office. .
Amazon Kindle HD Fire Paperwhite. Huawei Smartphones & Tablet. Samsung Galaxy Series. High Speed USB 2.0. Copy data or back-up data from your phone to PC. Provides high-speed data transfer rates. Transfer music files and MP3s. 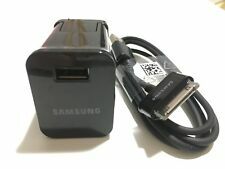 OEM Genuine Samsung Galaxy Tab 2 7.0 10.1 GT-P7100 USB Sync Data Cable. Galaxy Note Tab 10.1 GT-N8013Samsung Galaxy P7500 P7300 P6200 P6800 P7310 P1000 P6210 P6810 P7510 P3100 P3110 P3113 P5100 P5110 P5113 N8000 N8010. Provides power to your tablet while simultaneously charging your tablet's battery. Small and lightweight for convenience, portability, and storage. I/C Chip technology prevents your phone and battery against overcharging. Galaxy Tab SGH-i987. Galaxy Tab SCH-i800. Galaxy Tab SPH-P100. Galaxy Note 10.1 GT-N8000. Galaxy Tab SGH-T849. Galaxy Note 10.1 GT-N8010. Galaxy Tab 7.0 G-P1000. Galaxy Tab 7.0 G-P1010. Samsung Galaxy Tab 2 10.1 GT-P5100, GT-P5113, SCH-I915, SGH-I497, SGH-T779, SPH-P500: GT-P5113TSYXAR, SPH-P500TSASPR, GT-P5113-TS16ARB, GT-P5113ZWYXAR, SCH-I915TSAVZW, SGH-I497ZSAATT, 7.0 GT-P1010, GT-P3100, SCH-I705, GT-P3113: GT-P3113TSYXAR, GT-P3113-TS8ARB, GT-P3113GRSXAR, GT-P3113-TS8A, SCH-I705MKAVZW. Huawei Smartphones & Tablet. Samsung Galaxy Series. High Speed USB 2.0. Provides high-speed data transfer rates. Copy data or back-up data from your phone to PC. Transfer music files and MP3s. HEAVY DUTY CABLES. FREE SHIPPING!! FAST SHIPPING! SHIPS WITHIN 24 HOURS! Galaxy Tab 7.0 SGH-i987 (AT&T). Galaxy Tab 7.0 SCH-i800 (Verizon). Galaxy Tab 7.0 Plus GT-P6210. Galaxy Tab 7.0 SPH-P100 (Sprint). Galaxy Tab 7.7 SCH-I815 (Verizon). Galaxy Tab 8.9 GT-P7310. Galaxy Tab 10.1 i905 (Verizon). USB sync to connect for Samsung Galaxy P1000 to PC / laptop for synchronizing. 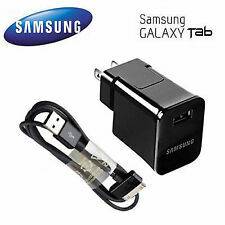 For Samsung Galaxy Tab SGH-i987, Galaxy Tab SCH-i800, Galaxy Tab SPH-P100 Galaxy Tab SGH-T849. 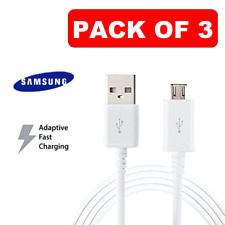 This high-speed USB connectivity data cable allows you to connect your tab to the computer/laptop for easy transferring of music, pictures, phone numbers etc. Provides power to your phone while simultaneously charging your tablet's battery. I/C Chip technology prevents your tablet and battery against overcharging. Small and lightweight for convenience, portability and storage.